Philippine Ambassador Philippe J. Lhuillier (left) accepts the Castilla y León Económica International Prize in recognition of the Philippines’ commercial relations with Spain from Mr. José Rolando Álvarez, President of Iberaval. On 4 April 2019, the Philippine Ambassador to Spain Philippe J. Lhuillier received an award in recognition of the Philippines’ economic ties with Spain and his continued efforts to enhance these links. 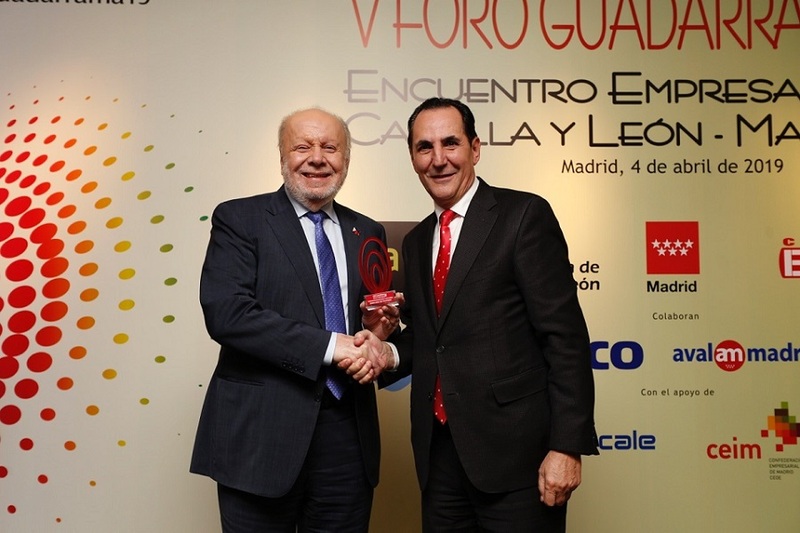 The award was given by the Guadarrama Forum, an annual conference that is considered the most important meeting point for companies in the regions of Madrid and Castille and León. The forum is regularly attended by high-level government and business sector representatives from both regions. 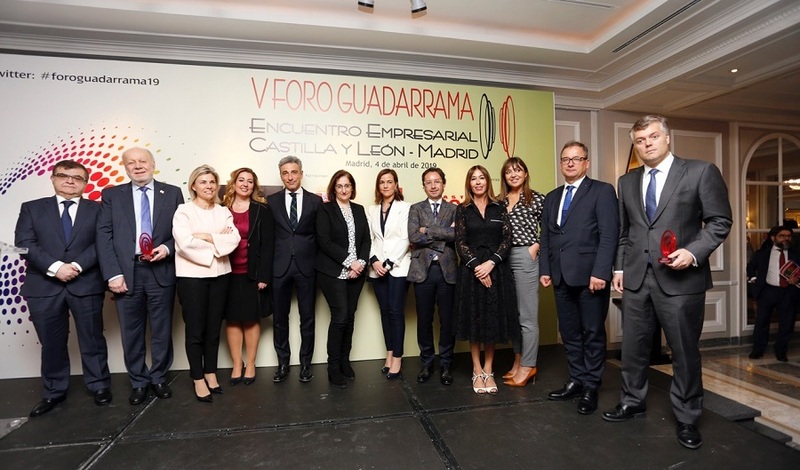 The Fifth Guadarrama Forum, held on 4 April, saw the participation of over 300 people, including Madrid’s Vice-Minister of Economy and the Secretary-General of the Board of Education. This year’s edition was organized by the business magazine Castilla y León Económica and was co-sponsored by Bankia (Spain’s fourth-largest bank) and the Board and the Community of Madrid. During the event, Javier Ruiz Santiago, Vice-Minister of Economy and Competitiveness of Madrid, and Juan Casado, Secretary-General of the Ministry of Education and Commissioner for Science and Technology of Castille and León, both noted the importance of strengthening trade and business relations between the Madrid and Castille and León territories. In this regard, the Vice-Minister also stressed the need to “continue to promote meetings to strengthen the relationships of our productive tissues and enable the implementation of new forms of business.” At the conference, great emphasis was placed on promoting the growth of companies to increase competitiveness, digitization and support for talent, as well as internationalization. The latter part of the evening included a ceremony to confer awards to three countries in recognition of their economic ties to Spain and the efforts of their diplomatic missions to enhance these ties. Aside from the Philippines, the other two awardees for this year included Brazil and the Czech Republic. Ambassador Philippe J. Lhuillier, thanked the organizers for the award and expressed his commitment to continue the Embassy’s efforts to increase trade and investment between the Philippines and these two vital economic regions of Spain. Ambassador Lhuillier (second from left) at the Fifth Guadarrama Forum, with government officials and business sector representatives from the regions of Madrid and Castille and Leon.